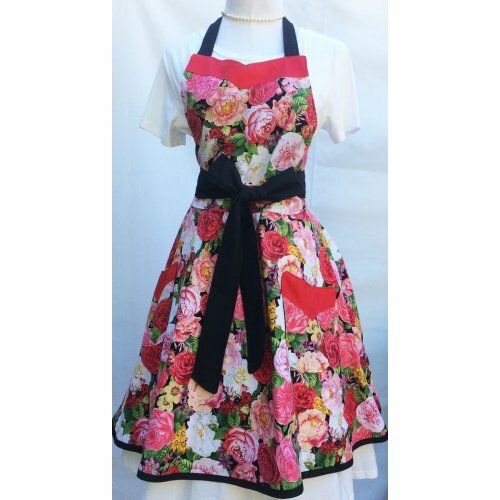 This colorful rose floral apron is brimming with beauty and style. The vintage inspired sweetheart apron looks dashing with the two tone pink roses, white roses,and red roses. We added a red accent to the two lined pockets. The black bias tape brings out the black back ground. 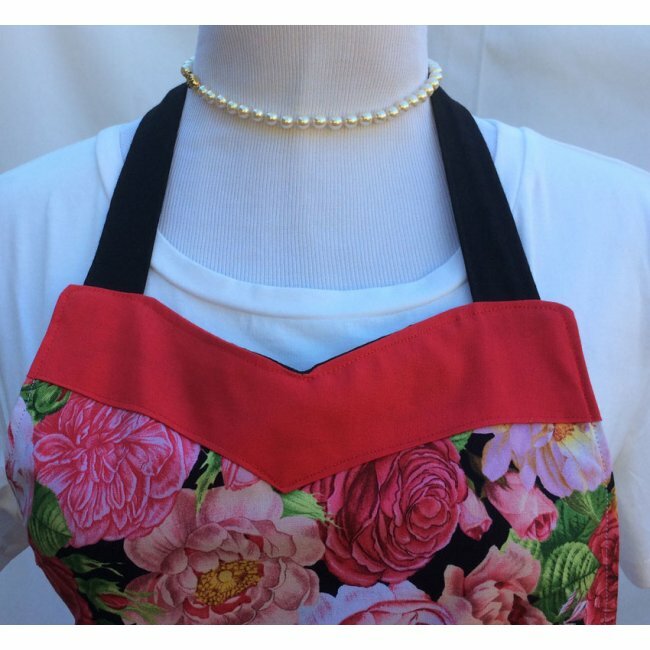 This same red fabric was added as an accent piece to the bodice. 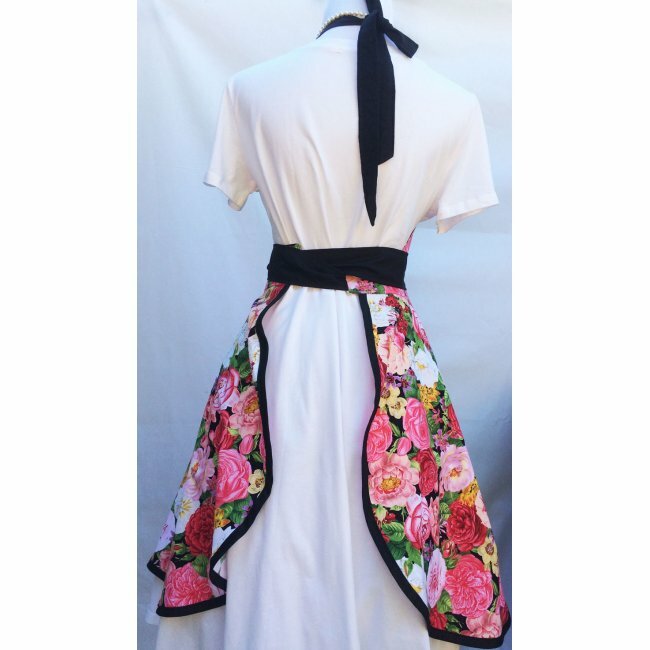 The waistband was made using the gorgeous floral print, while we chose to use black fabric for the neck and waist ties.